Gift cards are a popular birthday, Christmas and convenience gift – but having some ideas for gift cards up your sleeve will help you avoid buying your loved one a dud present. Buying a gift card doesn’t have to be a last resort present, in fact, if you take some time to brainstorm ideas for gift cards based on your loved ones’ personality, it can make for a unique gift. 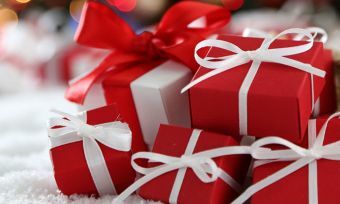 But take a few moments to remind yourself of how gifts work, so you can choose a present that really hits the mark. Will the recipient like a gift card? Are they likely to use it before it expires? Is there a gift card available for a store where they would want to shop? Would they prefer a gift you’ve chosen yourself? Everyone has different feelings about gift cards, as the giver it’s often a super easy, you can pick it up when you do the grocery shopping! When it comes to how gift cards work, it’s also easy for the recipient; they can just take it to the relevant business and use it like cash. However, when you’re coming up with ideas for gift cards, always keep who you are giving it to in mind; consider if the recipient is expecting a little more thought in relation to their gift. If not, that’s great (I have to admit that I love receiving gift cards) but it does pay to think about the recipient’s preferences rather than your own! Is this the right card for the recipient? When coming up with ideas for gift cards, put your own preferences aside for a moment and think about the person you’re buying for. Just because you would love to receive a movie card or an iTunes card doesn’t mean everyone will. Consider the hobbies and interests of the recipient (just as you would if you were buying them a physical item) and be sure to choose a card that suits. 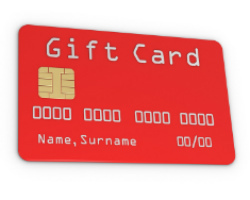 When it comes to pointers about how to use a gift card, thinking about the expiry date should be the top of the list. Look for cards with expiry dates that are at a minimum of 12 months, so your recipient as a decent amount of time to think about what they would like. It’s very easy to slip a card into your wallet and not think about it again until a much later date – and by then it could be too late. That’s just money down the drain! 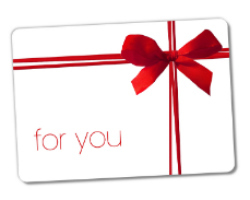 A gift voucher is a contract with the store to provide a good or service. The terms and conditions for using the gift voucher are decided between the person buying the voucher and the store – and are generally printed on the voucher. If you break those terms, the store does not have to honour the contract. As a good gift-giver, diarise to remind your friend, a month or two later, about the voucher they were given, to ensure that they haven’t forgotten and have, indeed, used it. They’ll appreciate the reminder and you can be sure your money doesn’t go to waste. Consumer Affairs has some general information about your rights as a gift card recipient; you can check it out here. And if all this talk of gift giving has you wondering about what you could buy yourself as a present, why not have a look at how you could get rewarded for spending money on your credit card. 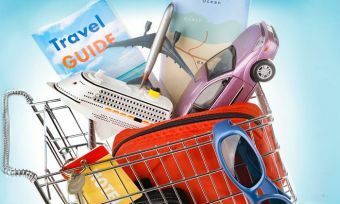 A number of credit cards offer everything from flight rewards, to merchandise. Canstar has rounded up a list of credit card rewards, so why not have a look at what’s on offer.